The Netherlands has a "tropical summer" this year as it has been 30+ degree C for the last couple of weeks. 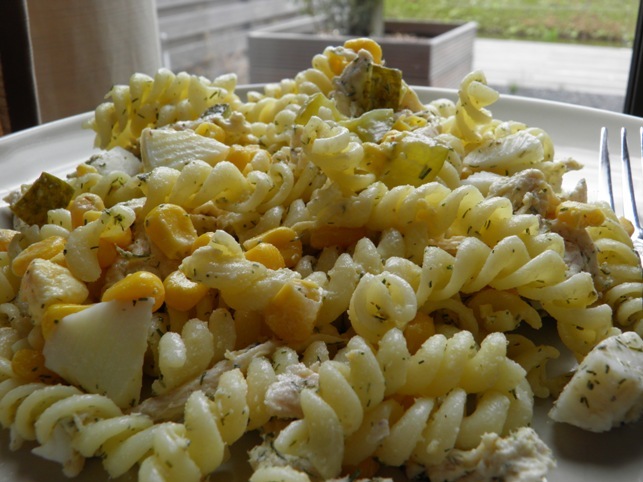 So I am too lazy to cook, and have made this easy pasta salad several times already. It's easy and yummy, so why not? 1. In a large bowl, mix the first five ingredients. Mix in as little/much mayo as you like. Season with dille and pepper. Voila!